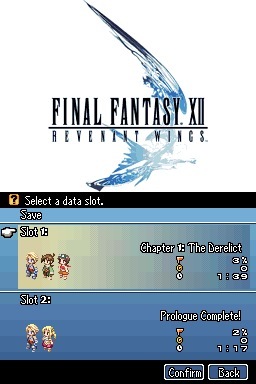 I never thought I’d get a chance to play Revenant Wings, but by golly there’s a nice open source emulator, DeSmuME, which works like a charm. (So far.) 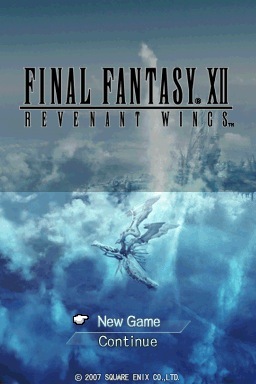 Thanks to FinalFantasyThings on Tumblr for alerting me to its existence! 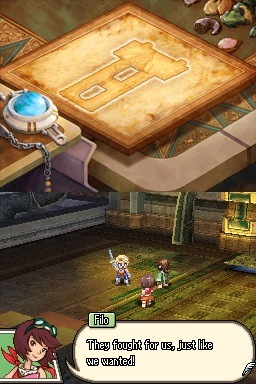 So let’s jump aboard the Ivalice train, now with more Chibi. 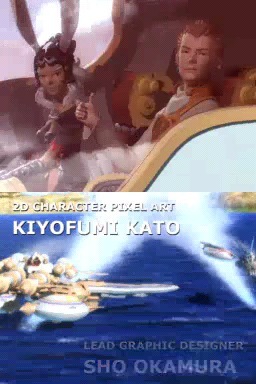 Scrappy kids Penelo and Vaan have taken off in their glorified pod racer in pursuit of their sky pirate mentors Balthier and Fran, after they reclaimed the airship they’d left in the kids’ care. And I warn you right now, Vaan and Penny are easily young enough to be my children, so I’m going to be Gamer Mom through this whole playthrough, cheering them on and encouraging their fridge art endeavors. The vertical split-screen would originally have been displayed on two screens of a tiny clamshell display. I’m going to upscale the itsy bitsy 256-pixel-wide screenshots to 400 pixels for those of us with granny eyes. 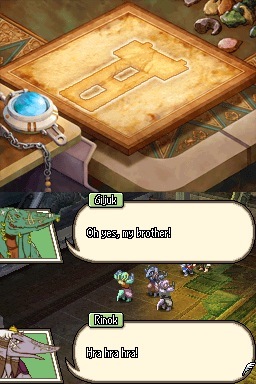 Cutesy chibi graphics would have irritated me once upon a time, but I’ve graduated from world-weary cynic to second childhood, and I’m absolutely in the mood for something heartwarming instead of yet another grimdark dystopia. 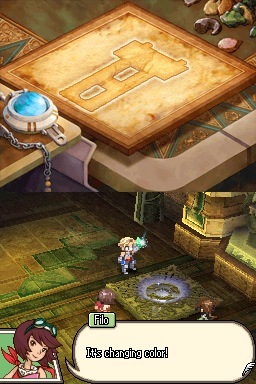 As an aside, I used to dismiss Penelo and Vaan, until I read Justira’s short story These Unending Alchemies of Honour and Twigcollins’ Life in a Box. They pointed out to me that most of Final Fantasy XII dwells on the political machinations and power grabs of the ruling elites, except for these two very ordinary yet capable 17 (now 19) year olds. 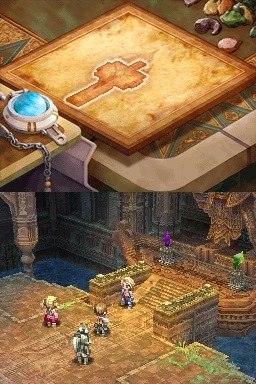 Vaan and Penelo stand up for the “little people,” reminding Princess Ashe and Larsa of all the ordinary lives — peasants and merchants, grunt soldiers and street rats, craftsmen and workers, working poor and homeless refugees, families and children — who get trampled under the feet of empires. They talk truth to power. Also? 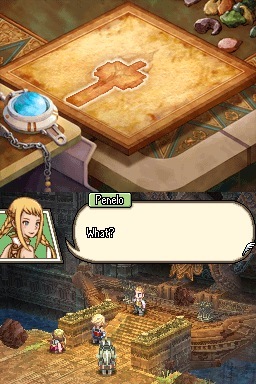 Penelo is a competent young lady. 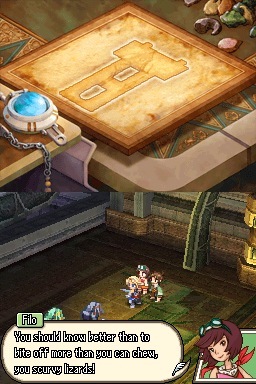 She looks after Migelo’s shop and tries to keep Vaan and city orphans out of trouble and seems to have a good working relationship with the tribesmen of Giza, who are tough negotiators. 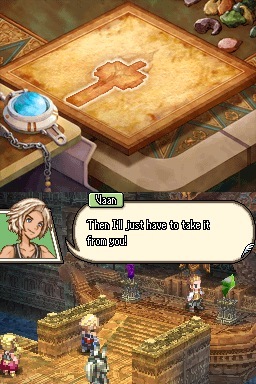 Meanwhile, Vaan is a good-hearted kid who defies the Empire and wants to make something of himself. He, too, is keeping an eye out for war orphans and the disadvantaged. They’re Esmerelda and Aladdin. 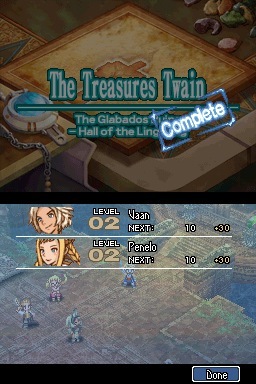 TL;DR: Penelo and Vaan are good characters, even if they’re commoners instead of upper class. Don’t knock ’em. FMV mode. They soar over the Osmone Plains, then a sandy expanse (Sandsea, one imagines? ), the a scenic ocean with gorgeous blue skies. Because let’s face it, too much of FFXII was mud-colored. Yo! 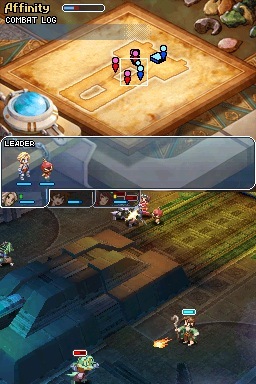 It’s the Strahl! Which they were taking care of, until these two clowns stole it back! Hi, Fran! Hi, Balthier! Good to see you! 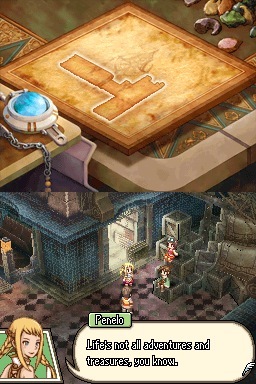 We last saw them being heroic and witty during the fall of Bahamut, when Balthier insisted the Leading Man never dies, and Fran assigned him to a “supporting role.” Of course, we knew they’d survived the crash, since FFXII’s closing FMV showed Vaan and Penelo finding a note from them. The music swells to an even lovelier version of the Prelude and start screen. Moment of truth! Is the emulator working? Can I figure out how to operate this game with my increasingly inoperative joints? I’ve never owned a DS, so I don’t know how the controls work. The FMV continues with more great FFXII music. The two ships land… somewhere new. And vertical. And kind of mud-colored, if your mud is nicely oxidized. 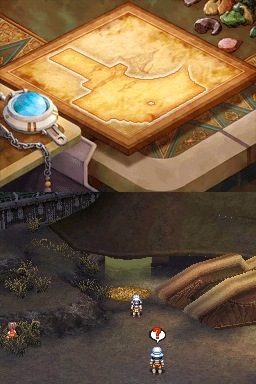 … and a location, the Glabados Ruins. Now I get my first glimpse of in-game graphics. 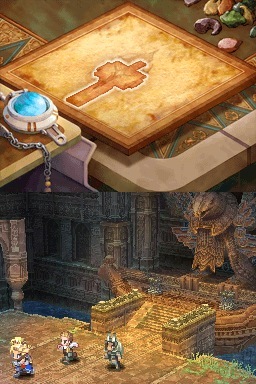 They’re similar to the Sky Pirate’s Den for trophies in FFXII. Unfortunately, the emulator screengrabs the top and bottom screen, and I’m too lazy to crop every single screencap by hand, so you’re just gonna have to look at the bottom half where most of the action is. 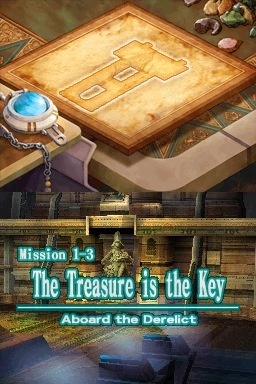 The top half is the minimap, but it’s blank during cutscenes. 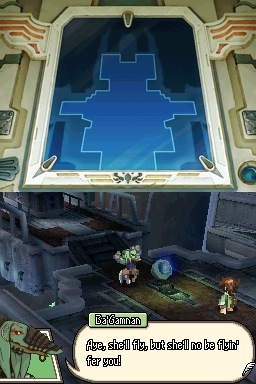 That weird blue sphere kinda looks like the FFX save spheres that disgorged maps in FFXII. 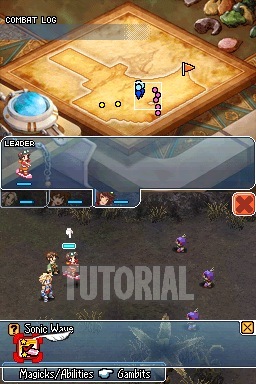 First up is an easy-peasy combat tutorial with a flan. 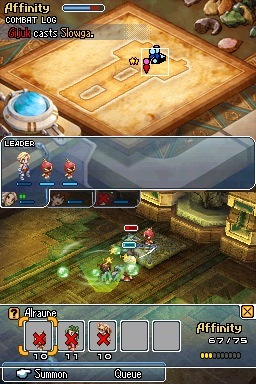 I have my first taste of tactics-based combat, selecting “units” and sending them (just Vaan, for now) towards a target. As soon as he’s close, he attacks. 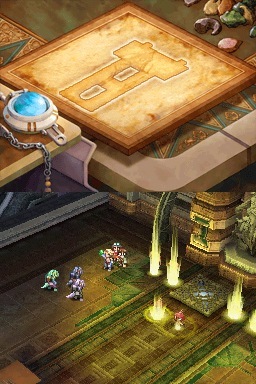 This is the mature form of the Defense of Fort Condor battles in FFVII, with better graphics. One flan down, I ignore the next. Vaan needs to find his friends, who wandered off to trade gossip while he was trying to remember how to engage the parking brake. They chew their way through a few more flans while searching for old friends. 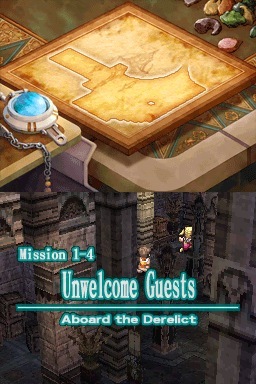 Balthier: Enjoy your stroll through the ruins? –for all of two seconds, dammit. Balthier and Fran saunter off. 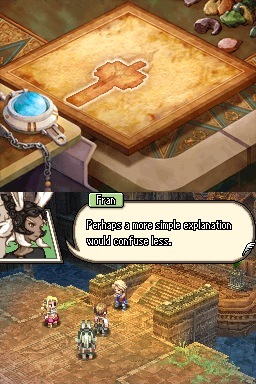 Fran, please say something to take your smugass partner down a peg. There’s a playful Final Fantasy victory fanfare. Awww…. 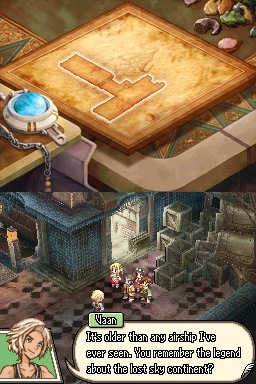 This game’s starter dungeon is relaxing, a delightful contrast to the dire tragedy of FFXII. It’s always difficult to find a way to create a new, exciting adventure after we’ve saved the world and the protagonists are living “happily ever after,” but it looks like Revenant Wings may have found a way. Of course, I haven’t gotten to the real plot yet, but I think it’s gonna be a brighter, fluffier FF. 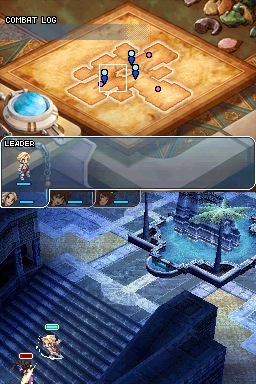 Final Fantasy XII meets V, even. 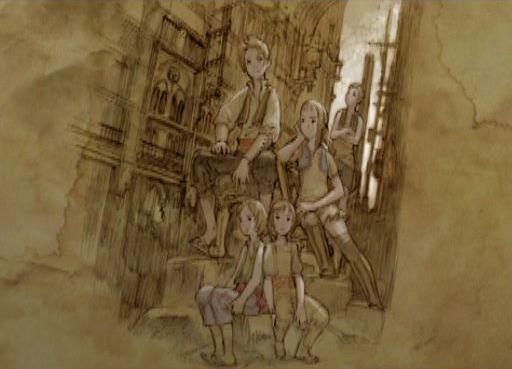 After all, I’ve always imagined Balthier is the reincarnation of Faris. 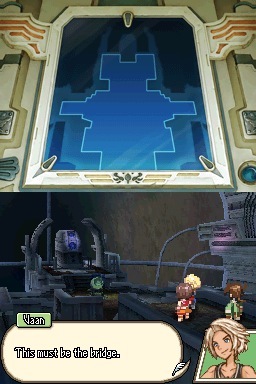 The next room is an antechamber with a bigass statue that I failed to screencap. 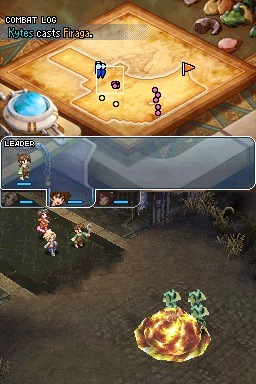 At its feet are a couple of not-save-crystals. Vaan is feeling a lot more generous than when he and they were wrangling over the Dawn Shard back at the beginning of FFXII. He’s willing to share. 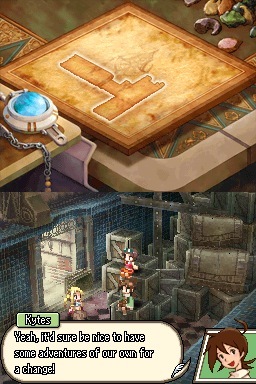 Balthier: Settling for only half the treasure? 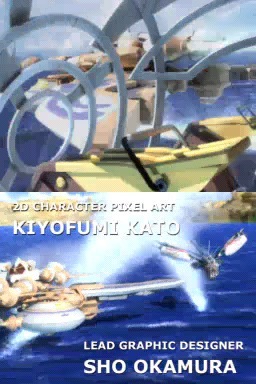 What kind of sky pirate are you? 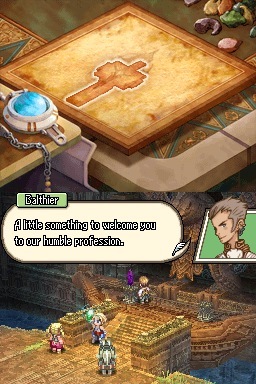 Oh, come on, Balthier. You didn’t bring these two kids here just so you could steal their candy, did you? Oh… wait… they followed you without your say-so, didn’t they? Whoops. Awww, isn’t a fluffy wuffy ravening monster. Balthier: Good to know someone was here to keep the lights on. Oh for cryin’ out loud. Fran’s too badass to get hit with the damsel penalty box this early! Her lil’ sis Penny is there to notice, which happened a lot during their first adventure. Fran: This Mist… so strange. It’s… cold. Yeah, yeah, babe, it’s called a Plot Contrivance. Take two aspirin and get back to us when you’re allowed to nuke things, mmkay? Fran: Yes, I think so. Oh, phew. I stand corrected. That was not, in fact, a case of the Damsel in Distress Flu. Too many Rosas and Garnets and Rinoas taken out of action just when they’d be useful have left me jaded. A couple more whatsits materialize to our right on the opposite platform. Mission: Defeat Ifrit, keep Vaan alive. Okay, good, we’re back to normal FF summon names in this game. I was mildy bewildered with all the Famfrits and Zaleras and such. 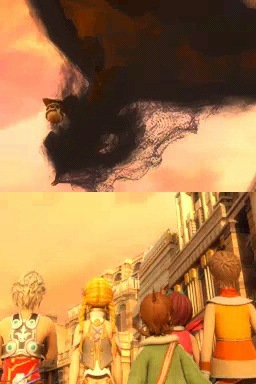 Balthier and Fran take out the small fry while Vaan and Penny tackle the big ugly. Piece o’ cake. Ha. 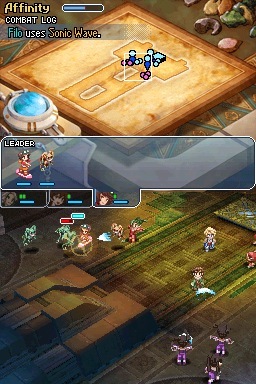 After their first boss battle, the party indulges in a FFXII weapon-twirling fanfare with the music sped up to silly speed, (whoops, I hit the wrong button on the emulator) for the next Mission Complete screen. This is ALL SO DAMN CUTE. 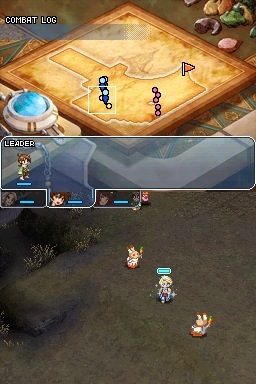 Penelo appears to have acquired a stereotypical White Mage staff since the previous game. Le sigh. 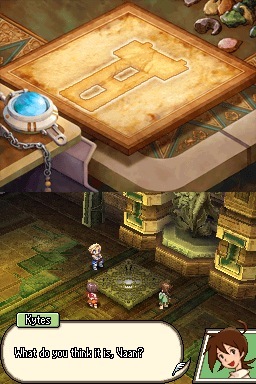 Afterwards, Vaan scampers towards the statue and treasures. He’s all about the shiny things. Balthier: Not so fast, Vaan. You’re familiar with the Legend of Glabados, yes? 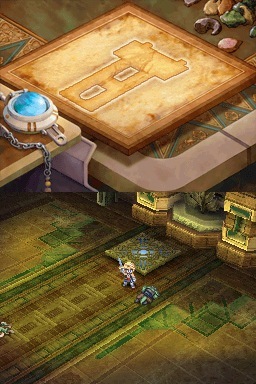 Vaan: I didn’t know there was a legend. No, dear gormless puppy, but we need some Exposition. Lay it on us, Ffamran! Balthier: Why am I not surprised. Very well, I’ll tell you this once, but no more. I do miss Gideon’s voice, although we don’t really need it, as I’m continuing to hear all his lines in the key of sarcasm. 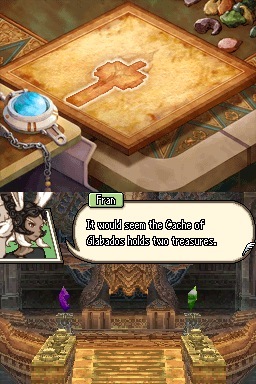 Balthier: This is no ordinary treasure. It holds a connection with the eternal. Balthier: You have to be worthy of her, or she’ll slip through your fingers. Balthier: I dare say you’re not quite worthy of this one just yet. Better if I take it. Is Vaan continuing to be a gentleman, or… ? Oh. Okay. Meh. I suppose that’s fair. Thieves being thieves. Boys being boys. 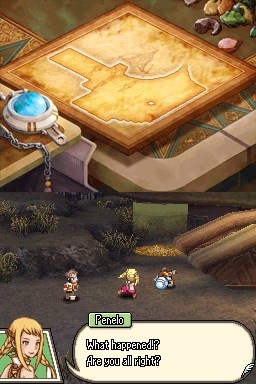 Penelo: Vaan, what are you doing?! Fran: He’s acting the sky pirate. 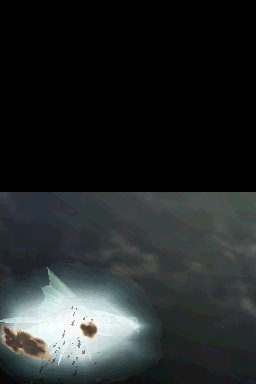 However, Balthier grabs the green crystal and tosses it to Vaan. The lad fumbles it comically before holding it up like a Final Fantasy Warrior of Light brandishing his crystal. Okay, I love these silly boos. Balthier couldn’t just give it to his apprentice, after all. He had to act the part. 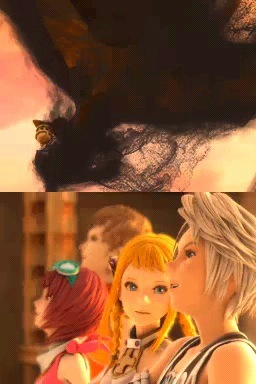 Because Balthier’s all about acting. Balthier: But remember, Vaan. The things you own, can end up owning you. Balthier: Seems our performance has brought down the house. The leading man is always acting. After a bit more “What’s happening?” Our Heroes bravely run away. 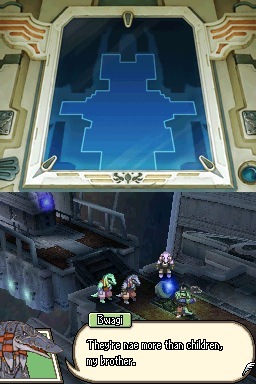 As they flee the ruins, Nono’s waiting for ’em on the ramp of the Strahl. Hi, Nono! Long time no see! 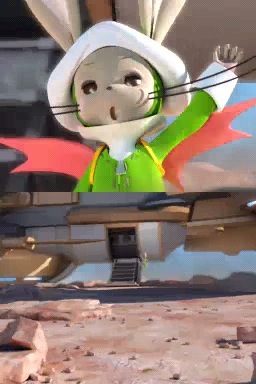 The bottom FMV shows a teeny tiny Nono hopping frantically up- and down — see that green speck to the right of the ramp? Yet another character fleshed out by some mighty fine fanfic writers. I know, fanfic, yawn, but it can help you appreciate minor characters by synthesizing all the missable details that tell us more about them. 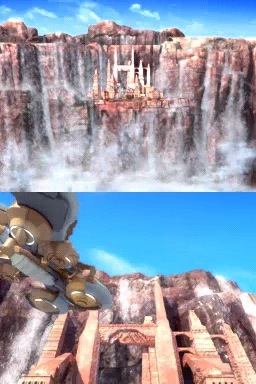 The cliffs crumble, and Vaan and Penny’s little skiff falls into the abyss. 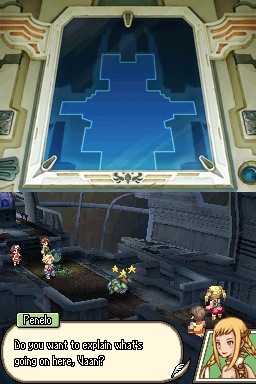 Quick, head for the Strahl, kids! Drat. Lost your airship, eh? And the cool characters have left so you can prove yourselves without chaperones. 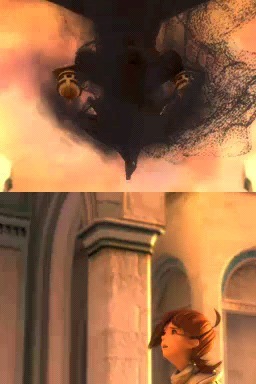 Always seems to happen in these sequels. Vaan shrugged it off. He said he’d buy a new airship, and he never even talked about the treasure we’d found. It was as though our adventures were only dreams, dreams that faded day b y day under brilliant Rabanastre skies. We went back to the quiet lives we’d always led, like nothing had ever happened. Oh, hey. Does Penelo get to be the POV/narrator character for RW? I hope so. 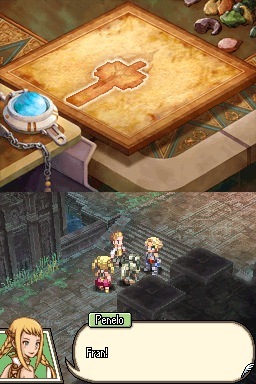 I liked her, the way she’d talk to everyone as equals, and she had that great rapport with Basch and Fran. Ah yes, business as usual: sitting around in Lowtown gossiping. I wonder how much it’s cleared out, now that the Imperial occupation is over. Character I most wanted to punch in the face in FFXII: Tomaj. Don’t ask me why. Tomaj: He’s sure been in good spirits, considering what happened to his airship. 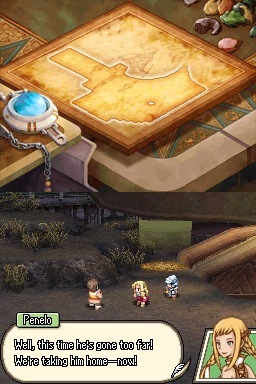 Frankly, I’m impressed that Vaan was able to realize his dream of buying an airship (that little skiff) after surrendering the Strahl back to its rightful owners. That couldn’t have been cheap. And yeah, Vaan’s taking it pretty well, considering that acquiring his own airship was his life’s ambition, and he’s now lost not one airship but two. 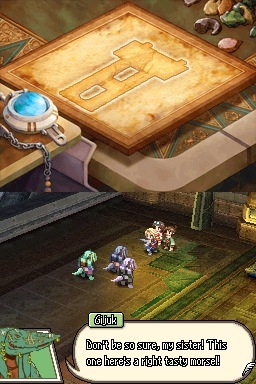 Filo joins the cast as a female counterpart to Kytes, the orphan whom Vaan was mentoring at the beginning of FFXII. 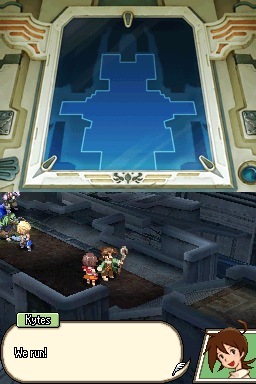 Kytes you probably remember, since he’s in Vaan’s intro scene. 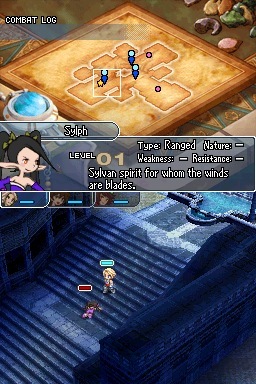 FFXII Filo was a minor NPC with her own little band of street rats, the Buccaneer’s Brigade, training to become sky pirates. Nice goggles. 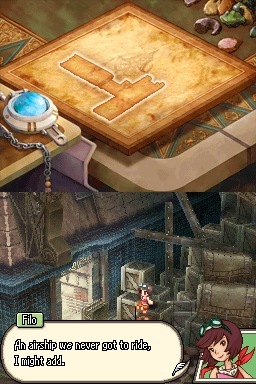 She’s gotta be an airship engineer, right? And here’s Kytes, now impossibly cute. Meet your party, round one. Anyone else joining the gang? This graphic with Penny looking over her shoulder is a bit Escher Girl, but I suppose it’d be monotonous if everyone’s PC portrait used exactly the same pose. Someone’s got to keep their heads out of the clouds, and it’s usually practical Penelo. Penelo: There’s a lot to be said for peace and quiet. Yeah, hon, but you’re in a Final Fantasy game. Good luck with that. 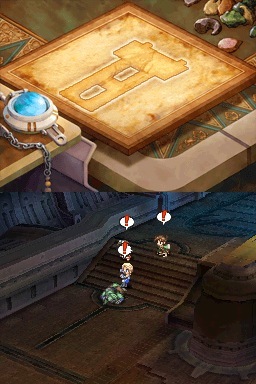 Sure enough, Vaan rushes in to announce the approach of a very special airship. Filo starts channelling for Fran. After a brief discussion, they run off to investigate the airship. 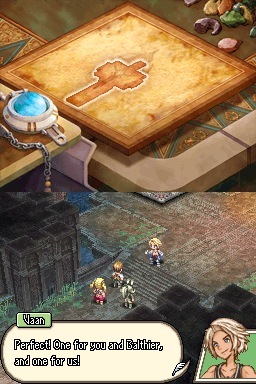 Sensing that her wished-for peace and quiet is about to end, Penelo holds her head in her hands as the screen fades out. Sorry, Penny. If you wanted a simple life, you should’ve stayed with Migelo. FMV time! 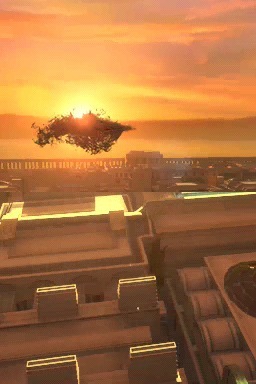 Big ugly LUNAR WHALE airship floating continent thingie bears down on Rabanastre, blocking out the sun. As it draws closer, it seems to be covered in an inky cloud or dark sandstorm. Tomaj, Filo and Kytes dash towards it, undaunted by its ominous appearance. It’s not Bahamut, at least. I still wouldn’t look this pleased to see something like this over Rabanastre, after what happened last time. Um. Still looking pretty ominous here, kids. 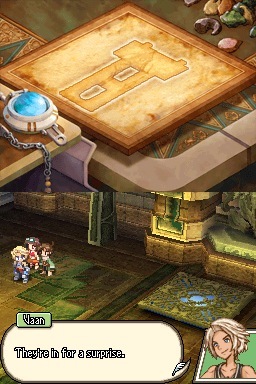 I think someone would be yelling “Siiiiiin!” about now if this were Spira and not Ivalice. Penelo has the sense to look worried as the FMV fades out. I knew trouble wasn’t far off. When Vaan gets that look in his eye, it never is. 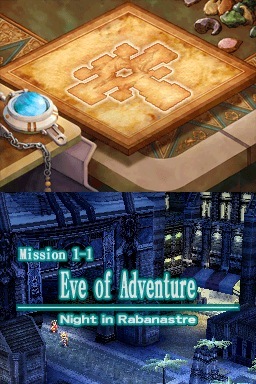 Mission screen! And it’s Garasythe Waterway music, although I think they’re actually just inside the southern gates of the city, where that fountain was in the big plaza. At any rate, it’s nighttime. 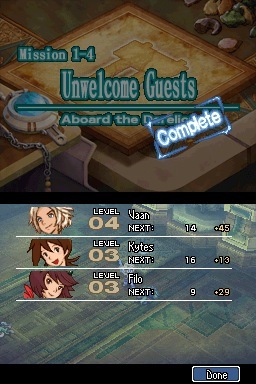 Vaan has roused the gang for an after-hours reconnoitre. They’re yawning. Kytes: And how come we didn’t bring Penelo? Because Penelo has more SENSE, you silly boos. Vaan: Shh! Just try and keep up, okay? 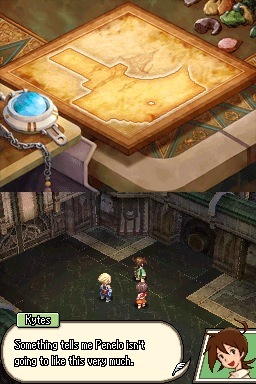 Yeah, because after dealing with the Sun Cryst and the Occuria and Vayne and all the Judges, Vaan thinks he can deal with an entire scary-looking sky continent (?) with just a couple children as backup. Giza Plains rainy season music starts up, as a few monsters appear on the steps heading for Our Heroes. Kytes: They sure don’t look like anything I’ve ever seen in the desert before. Vaan: *brandishes dagger* You wanted an adventure, right? Time to get your hands dirty. Kytes: Anything you need, Vaan. I’ll use magicks to back you up. Has… a hoverboard. A pink hoverboard. I like this girl. Vaan goes after the one who looks a bit Lulu-ish. Sylph? Bit of a comedown from your summons days. 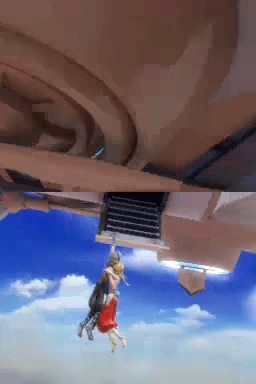 A few more teleport (!) in, but we dispatch them. Kytes learns Firaga. That’s a fast run around the sphere grid there, kiddo. Filo learns Sonic Wave. 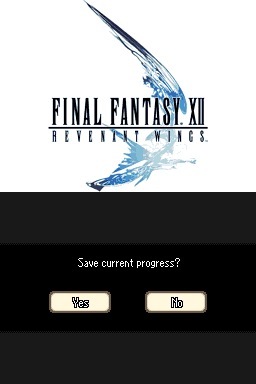 The save screen only has two slots. I think I’m going to be abusing Save States. Is it time for Penelo to bawl them out yet? Oh, no. First they need to dash off and get into even more trouble. Without the healer. Riiight. Filo lurks in the bushes watching this guard until another shows up. They exchange a flurry of punctuation marks with one another and hurry off. The coast is clear! Filo climbs out of the bushes and zips back to town her hoverboard. Too. Much. Cute. Thieves, eh? 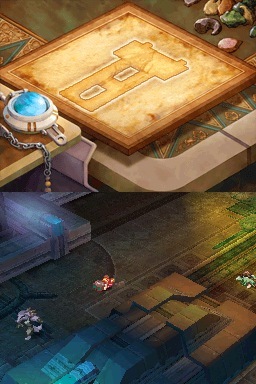 Are they Fran & Balthier, or our least favorite bounty hunters from FFXII (assuming Ba’Gamnan survived a nasty fall)? Oh, here’s an idea. Let’s act like thieves ourselves and stow aboard, when the guards are looking for thieves and stowaways! Brilliant! 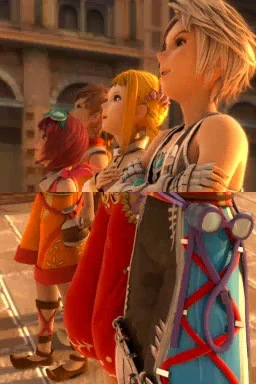 Vaan: Right, we better hurry. 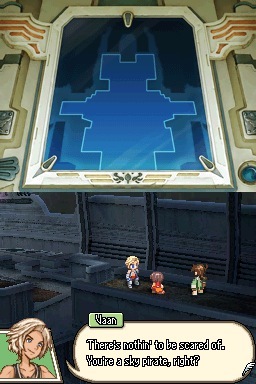 Kytes: So, what are we gonna do once we’re on the ship, Vaan? 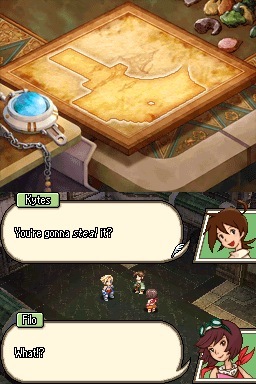 Vaan: We steal it before anyone else does. Oh, just what I always wanted, an airship that doubles as a spooky black cloud of doom. 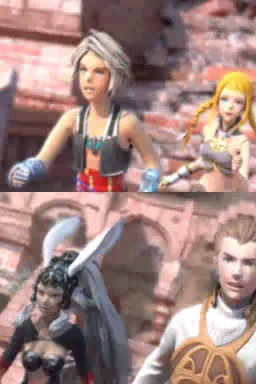 Vaan: It’s them or us, right? Only we’re gonna take it, so we can figure out where it really came from. Besides, it’s a derelict. We’ll just, uh, take care of it until its real owners come looking for it. 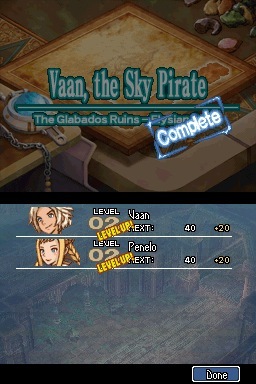 Just like Vaan and Penelo took care of the Strahl. They should start charging for valet service. 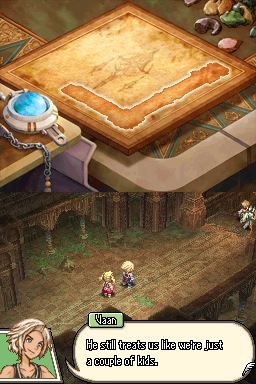 Counting on royal connections to keep you out of Nalbina Dungeon, are we, Vaan? Penny’s gonna be livid. 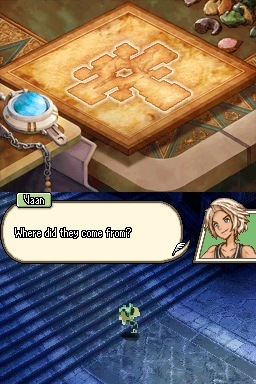 Vaan: Who says we have to tell her? *facepalm* Sure, Vaan, she’ll never notice you’ve snuck off and commandeered Bahamut’s ugly kid brother. 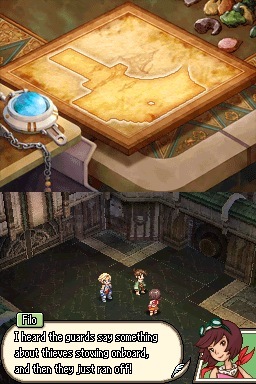 Giant airship, swirling darkness, Vaan, Kytes, Filo gone missing. Nope. No way. She’ll never suspect. 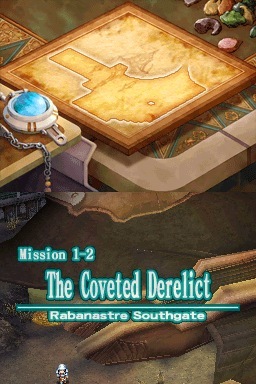 Next mission objective: “Sneak aboard the derelict airship! All allies must survive.” Well, that’s a relief. 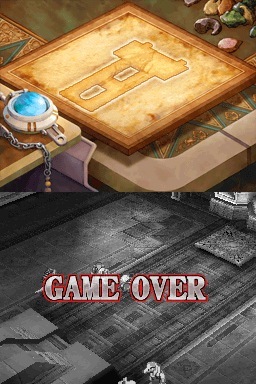 Until now, the only objective was keeping Vaan alive. We fight our way out of the city. Firaga time! Oh good, there’s some Giza Bunnies nearby. These buggers are handy. 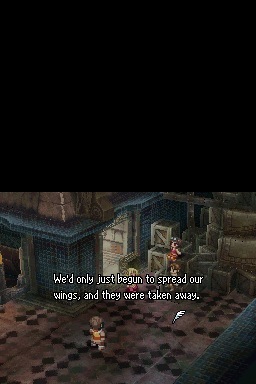 Just as in FFXII, they’ll heal any nearby wounded creature that isn’t harassing them. 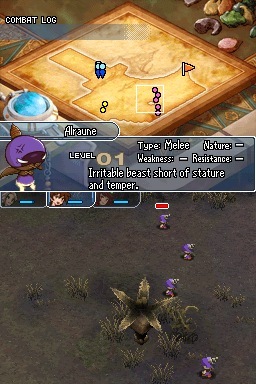 And then there’s a buttload of angry mandragora type beasties. Five of ’em. Keeping everyone alive is gonna be a bit tricky. With gambits, we can set abilities to kick on automatically, instead of having to trigger them manually. 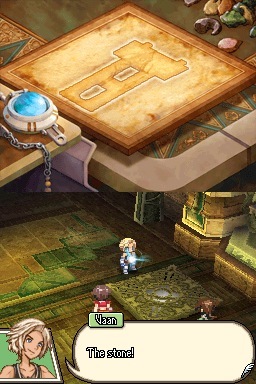 I miss the full FFXII version of gambits; I loved the logic of setting them up. (I was programming very simple video games in the early 80s, so). Eventually we mop up all the hostiles and hurry over to the ramp of the Derelict, where the guards were confabbing earlier. This game is addictive. “Just one more mission” I say to myself, and manage to get a few real-world chores done before climbing aboard the airship. As soon as we enter, a welcoming party teleports in to greet us, thoughtfully sorting themselves into ranged, melee and flying. 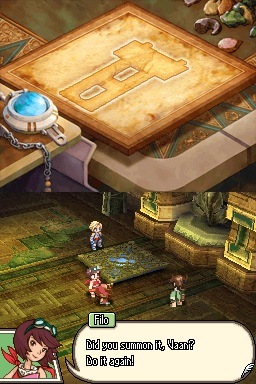 There’s another of these ornamental square platforms on the floor. Filo wants a closer look. Vaan is at least somewhat responsible about looking after his charges. Mission objective: Reach the summoning gate! All allies must survive. Crash, bash, smash. Slightly challenging, but more of same. We amble over to the platform. 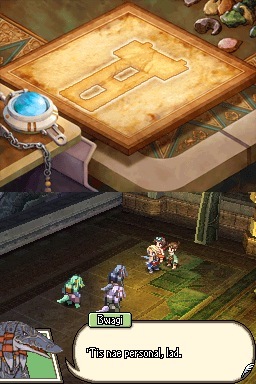 Apparently Vaan didn’t see the chapter title screen for this mission, and is surprised when the green stone reacts to the summoning gate. So, hey, are we about to receive a summons? 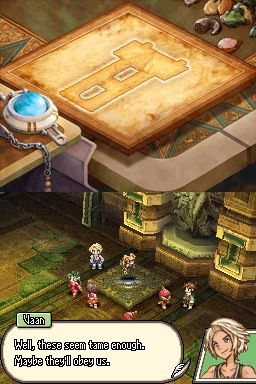 Ayup, we’ve found ourselves a summons. Or some variant thereof. 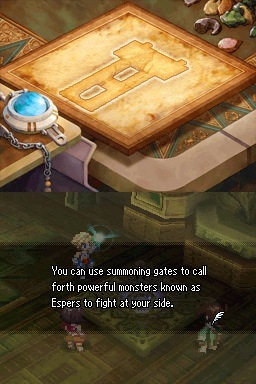 I think they’re called Espers in Ivalice, at least in the English version. 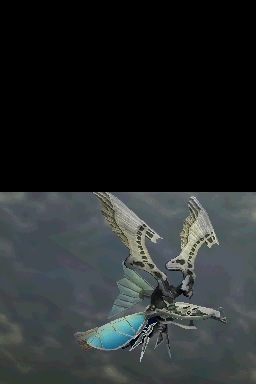 (I liked “Aeon” best of the English terms for Summoned Beast.) 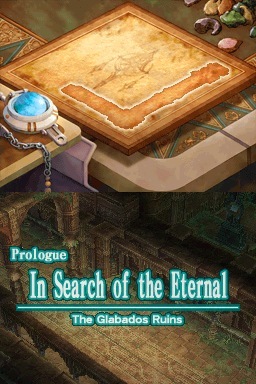 Oh, also, FF Prelude is as pretty as ever. 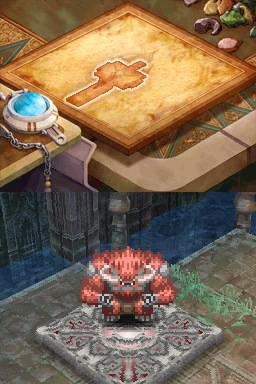 Red summoning gates are under enemy control and must be captured before they can be used. Pray before a gate to capture it from your enemy. 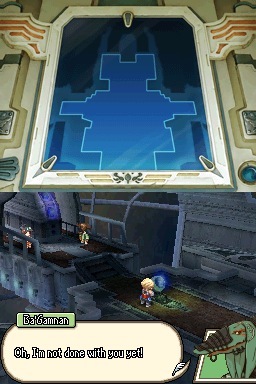 Once captured, the gate will turn blue. You can capture a gate more quickly by sending more units to capture it. 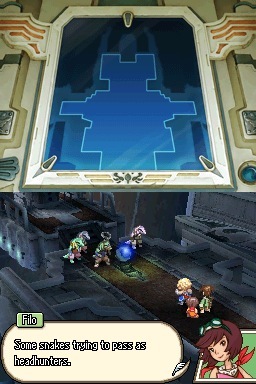 Mission time: Capture the summoning gate! Which basically involves sending everyone over to poke it until a little slider goes from red to blue. Then it’s shiny. Somewhere in the background, my inner Penelo is brandishing a rolling pin. The Sorcerer’s Apprentice and rather a lot of brooms spring to mind. Vaan: Uh, sure. Nothin’ to it. We soon have ourselves a small Chibi army. Kytes is a little alarmed. “Monsters, Espers… what’s the difference?” He wants to stay away from them. Right on queue, a bunch of monsters attack. We need help! 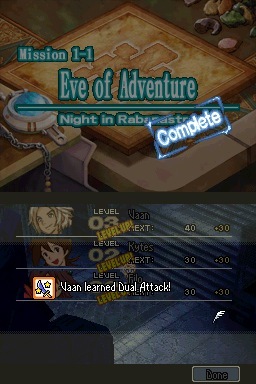 And I think I stupidly assigned the wrong Esper to each person, instead of Espers with the same kind of combat skills. But they mop the floor anyhoo. Nice. 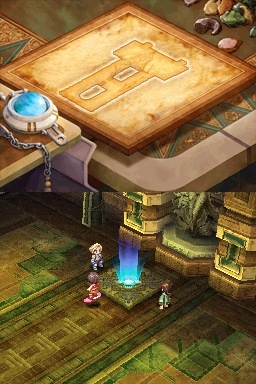 Vaan speculates that the airship and the stone that activated the summoning gate are connected. 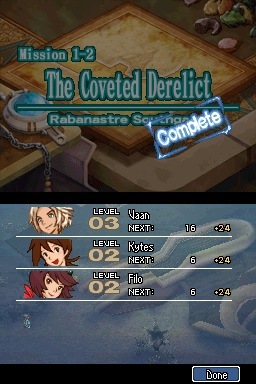 Mission complete, level up, and Filo runs off recklessly to explore the next level. 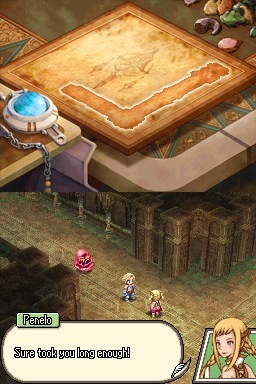 A “meanwhile” screen shows us that Penelo has noticed her friends’ absence and talked Tomaj into helping her. We catch a glimpse of them running through the city. If they don’t catch us, the guards certainly will. Or am I just trying to inject a little drama into a relaxing sequence? Penny and Tomaj exit Rabanastre’s south gates, where our heroes entered the Derelict earlier, only to discover a guard collapsed at the foot of the ramp. Penelo casts healing magic and rouses him. Penny to Tomaj: You don’t think Vaan would do something like that, do you? Tomaj: You know how he is about airships. I love Penelo, I really do. Also? Stuff it, Tomaj. 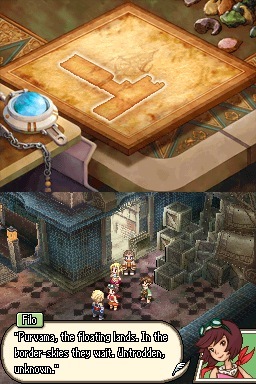 Meanwhile, Vaan and friends wander along the edge of what seems to be a large pinball machine, according to the map. They advance forward. Kytes wonders if it’ll still fly, as old as it is. There’s a flash, and a Bangaa pops up from behind the sphere oscillor-finder or whatever it is. Filo is less scared now that she knows what the threat is, but it looks like he’s got a few more buddies in his gang than last time. 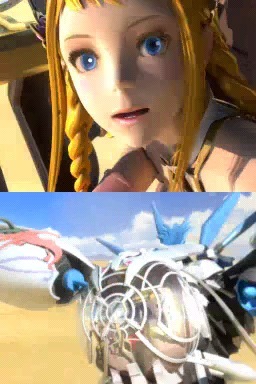 Vaan: How many times do we have to kill you anyway? 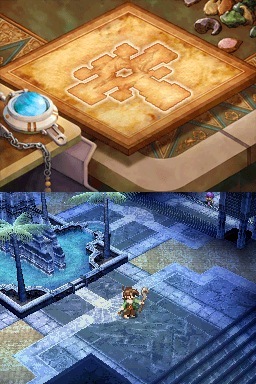 A good question, considering Ba’Gamnan’s apparent end in FFXII, sucked down into the Sandsea I think? And with bosses, it’s usually three, Vaan. 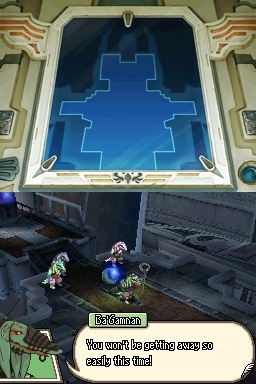 Ba’Gamnan: Well, well, what have we here? Tire of playing at pirates with Balthier, did you? I settle my scores, boy, and yours is long past due! Vaan: Still haven’t had enough, huh? Um, Vaan, as I recall, we needed people like Fran and Balthier and Basch to put this toad away. Even by himself. And Kytes and Filo are noobs. They back off, wisely. Filo: What do we do? 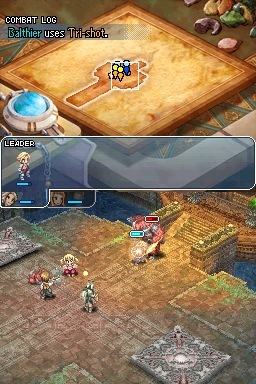 Vaan: Hey, get back here! 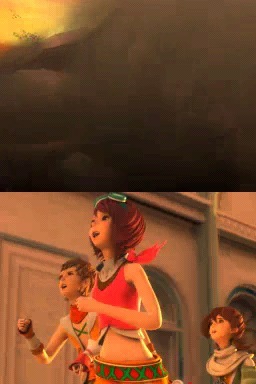 Sorry, Vaan, but they are kids. 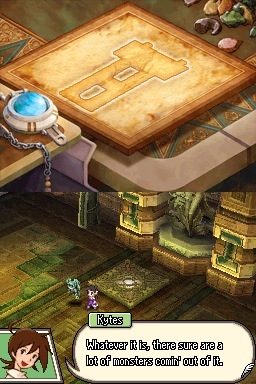 Ba’Gamnan: What’s that? Do my ears hear mutinous mutterings from your mouth? Rinok: There’s nothing for it, then. Alexander O. Smith isn’t listed as the localization translator for this game, but someone was certainly paying attention to his literary style, which added so much to FFXII. Our heroes apparently can’t find their way out a paper bag, as they are soon cornered in a dead end that I don’t recall seeing earlier. Um, seems pretty damned personal for your brother. I don’t think the bounty on Kytes and Filo can be too high as yet. Bwagi: Y’see, we’re looking ta leave the headhunting business fer good and all. 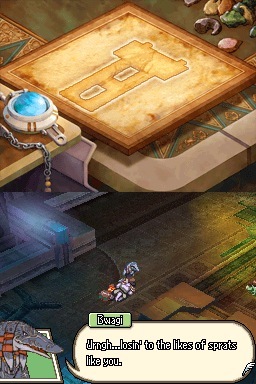 Only, Ba’Gamnan does nae take too well ta desertion. So yer going ta replace the lot of us! Rinok: The three of you for the three of us. Not a fair trade by half, but it will have to do. Ummm. Yeah, I was about to say: not really a trade Ba’Gamnan is gonna go for. Bounty hunter stooges vs. a few bite-sized snacks? Not the same. 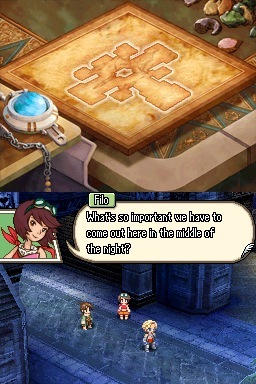 Filo channels the ghost of the great Captain Faris. Huzzah! 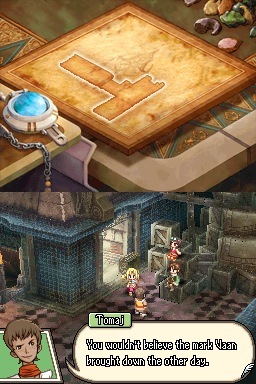 I’d forgotten Filo was peppering her speech with “Arrr!” and other fake pirate-isms in FFXII. 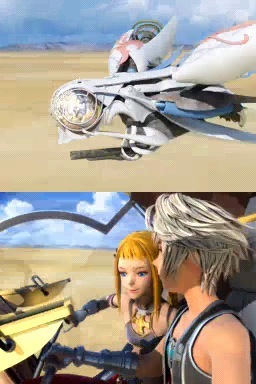 Vaan: You leave her out of this! Ba’Gamnan: What are you prattling on about? Cut or be cut, but be on with it! Bwagi: Gijuk! Rinok! Our final battle is upon us! Make it one fer the ages! Not even close, m’dears. The game’s early yet. And you didn’t see us take down Vayne at the end of the last game. Okay, Vaan’s learned at least some cunning from Balthier. He summons a buttload of Espers in a second or two. I’d like to use this ability outside of cutscenes, please! The trio of bounty hunters turn and run away! Nice one, Vaan. Now we have to give chase. Mission objective: Vaan must survive. Whoopsie. That went badly. I HAD ONE JOB. Let me just abuse a save state. 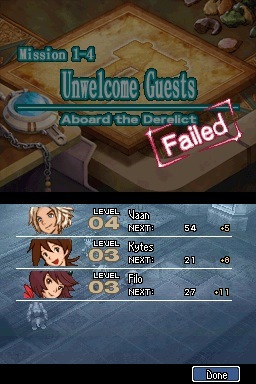 It takes me a few tries, with Vaan summoning new Espers as fast as they go down, and both Kytes and Filo get clobbered! Whew! What an embarrassing debacle. Bwagi staggers to his feet. The three brothers flee after some more cursing, leaving Filo and Kytes (and Ba’Gamnan) lying prone. Sorry, children. 🙁 I am a bad mommy. Vaan brandishes his sword to the FFXII victory fanfare over the bodies of his KO’d friends. Little prat. So apparently they get experience even when KOed. That’s good. The kids are back on their feet after the battle. Guess somebody was packing potions? Mighta mentioned that sooner. 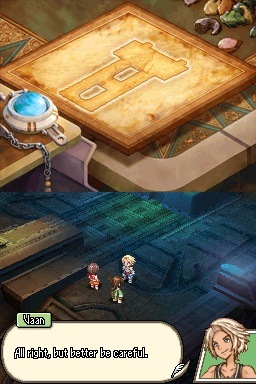 Vaan : The airship’s moving! Kytes: We’d better get to the bridge! Filo: No time to waste! Hmmm. Who’s flying it now? Then again, who was flying it earlier? They run off to the bridge, where lights are flashing and alarms are sounding. Ba’Gamnan gets up and follows them. Rggh. I hate that guy. Ba’Gamnan: Never forget that he who laughs last, laughs hardest! Stick a sock in it. Or over it, considering your snout. And there’s no summon gate to help us over here. 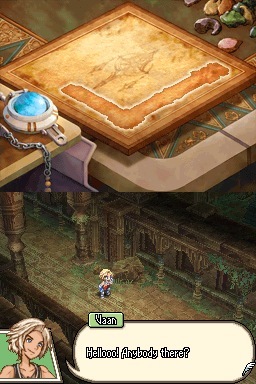 Penelo: Just where do you think you’re going? 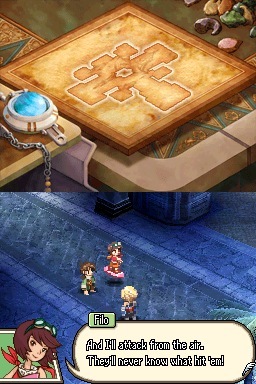 Vaan: On our next adventure, where else? Penelo: What kind of an answer is that? 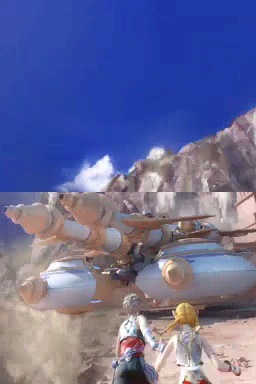 FMV: The ship takes off, sheds some rocks?! and is suddenly glowing white instead of swirling with black smoke. I think we have ourselves a Lunar Whale. ..or not. Wings. And this isn’t even its final form, right? 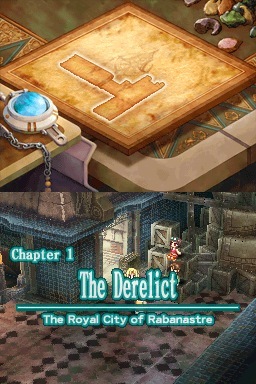 And that’s it for chapter 1. Once again, this Let’s Play can’t match the fun of the game without its great music. This entry was posted in Final Fantasy XII: Revenant Wings, Let's Play... and tagged airship, ffxii, fmv, meet your party, revenant wings. Bookmark the permalink.